Getting married is one of the most memorable moments of your life. It is a time to celebrate the promise of years of wedded bliss. As you are planning a wedding, your top priority is to find a romantic location to have your wedding. If you are planning a beautiful destination wedding, you should consider getting married in Chiang Mai, Thailand. Chiang Mai is a popular wedding destination in Thailand for couples all over the world. There are plenty of Chiang Mai wedding packages and boutique wedding venues that will make your day special and unique. Its local climate makes it an ideal destination for year-round weddings. As Thailand's second most visited city, Chiang Mai has a lot to offer your wedding attendees. Your guests will be blown away by the picturesque views of this mountainous region of Thailand. More than a million visitors from various countries in the world engage in this city's cultural attractions each year. 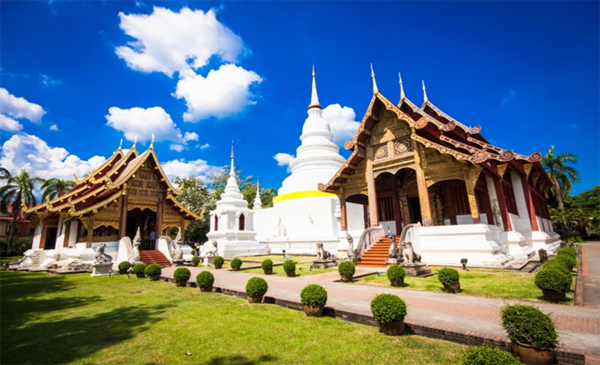 Chiang Mai is filled with traditional tourists attractions such as historical museums, nature parks, historic Buddhist temples and year round festivals. During your stay in Chiang Mai for your wedding, you and your guests will be able to assimilate into the local Chiang Mai culture. A wedding in Chiang Mai provides and opportunity for you and your guests to take plenty of pictures, eat Chiang Mai cuisine and enjoy the scenery. Although the officials in Chiang Mai welcome marriages from international residents, there is a procedure that you must follow. You must contact your country's embassy in Thailand to obtain the appropriate documentation such as an Affirmation of Freedom to Marry. Another document you need to secure is a passport to travel to Chiang Mai. If you are divorced, you need a copy of your divorce certificate. It is essential for you to contact your embassy to find out all of the required documentation you and your guests will need before you plan the wedding. Embassies can change their requirements at a moment's notice. You want to be sure that you are cleared to get married in Chiang Mai before you arrive at your wedding venue. It might be in your best interest for you to register your marriage in Thailand and obtain a marriage certificate from Thailand. This action will provide you with legal proof of your marriage in Chiang Mai and legal benefits that are associated with marriage. This service is a great option if you do not have the time to complete these tasks. Marriage registration services can take the guesswork out of completing the process. The great thing about Chiang Mai is people of all faiths are welcomed to get married in this romantic city. Christians, Buddhists, Hindus, Muslims and non-secular weddings of all types are often conducted in Chiang Mai. In Chiang Mai, there are plenty of beautiful venues for you to host your wedding. From the river banks of Chiang Mai to its historic temples, you can select a venue that perfectly commemorates your wedding. 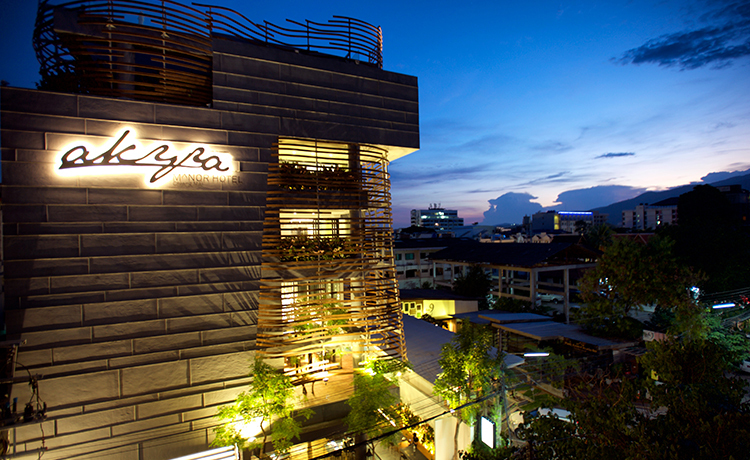 At the luxurious Akyra Hotel in Chiang Mai, you can arrange a luxurious wedding package to remember. This package features deluxe suite accommodations, standard venue decorations, live DJ services, hair and make-up, daily gourmet breakfasts, menu for the wedding couple and up to 8 guests, photography services and massages for the wedding couple. You will be assisted by an on-site wedding coordinator. Each detail of your wedding will be carefully planned according to your specifications. In order for your Chang Mai wedding to be valid, you must register it with the civil registrar at the district office. This registration will provide your spouse with legal rights such as the rights of inheritance. When you register your marriage, it is recorded in the annals of Chiang Mai. Chiang Mai is home to American, British, Australian and Canadian consulates. This is a list of the contact information of each of the consulates. As you can tell from this wedding guide, Chiang Mai is a spectacular destination for your wedding. By using the information in this guide, you can plan the wedding of your dreams in Chiang Mai.